Celebrity couples break up all the time, whether they've been dating for two months or married for 20. So it's kind of sweet to see some pairs get past their problems and reconcile*. See — there is hope for some! *At press time, these couples really were still together. The royals' relationship seems like a fairy tale but it didn't start off that way. They met in 2001 and began dating a year later. All was going well until 2007, when Will broke up with Kate. Thankfully, the split only lasted a few months before they rekindled their romance, got engaged in 2010 and tied the knot in the wedding to end all weddings in 2011. They now have a beautiful baby prince and princess and it looks like they may have gotten their happily ever after (and Kate's gotten some pretty over-the-top gifts from her hubby. They met while filming The Last Song in 2009 and defined what young love was all about. They got engaged in 2012 but a year later, the two called it quits and for a while there, they seemed done for good. Fast forward to 2016 when reconciliation rumours started swirling, thanks to Miley wearing a ring that looked a lot like the engagement ring Liam had previously given her. 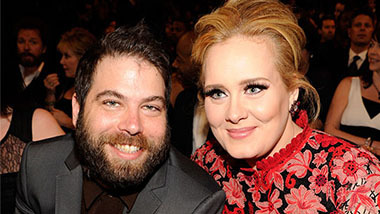 And for once, the rumours are true and the two are officially re-engaged. They dated for years before breaking up in March 2011. She was faithful, he was reportedly a big, fat cheat, but Jess took him back a few months after they split, got engaged a few months after that and they are now married with a son. RElated: did you know that Justin Timberlake was a total groomzilla? Gabrielle and Dwyane were together for years but took a break in 2013, during which time Wade fathered a child with another woman. The two found their way back to one another and have been married for two years. See more: these 19 celebrity couples ended their engagements. The couple separated in August 2013 but it was short-lived. Michael and Catherine were seen a few months later during outings with their children. And while some initially thought it was an amicable split, the two defied the odds and came back even stronger as a couple. The singer and former motocross racer have been married since 2006 but announced their separation two years later. The desire to live apart was fleeting and in 2009, Hart revealed that he and Pink were "dating" again and trying to work things out. After marriage counselling, they got back together, they now have a daughter, Willow, and the two have been going strong ever since. They had been dating for a year when Adam broke things off. During that time, he found comfort in the arms of another Victoria's Secret model, Nina Agdal. Guess he missed Behati and she took him back because he just "stopped answering [Nina's] calls" and ended up texting Agdal that he and Behati were now engaged. They actually did go all the way and the married duo now have a son. 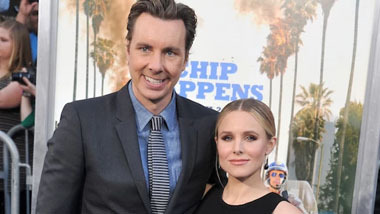 More pics: celeb couples you love with surprisingly large age gaps. She was 18 and he was 30 when they began dating in 2004. They got engaged in 2006 and for five years, there were no wedding plans and then — bam! They called it quits. Fast-forward to a year later when they reunited and got married and had two kids. All seemed to be going swimmingly until a year after their second son was born. Megan filed for divorce in 2015 but a few months later, she learned she was pregnant in a shocking twist, they put the divorce on hold, she had their third son and it looks like their relationship is back on track. We think. They dated, they got engaged and like lots of famous pairs, they called off their engagement. But the two have since reunited and are starting from scratch, treating their relationship like a brand-new thing. The 17 more exciting celeb engagements of 2017. They broke off their engagement in the July 2011 but by the fall, Kristin tweeted that the wedding was back on, they got married the following summer and they now have three kids. Calling off a wedding isn't the biggest celebrity wedding scandal to ever happen. Check out these 10 unbelievable celeb wedding day stories. They met on the set of Jumper in 2007 and secretly got engaged a couple years later. By August 2010, they had called off their engagement but a few months later began dating again. The super-private couple have a two-year-old daughter and if they ever split, we might never know about it. They had been married for 30 years when they announced they were ending things. Um, what?? Everyone, it seems, hoped they would work things out and reconcile and turns out, wishes do come true! After being apart for five months, they decided to give it another try. Aww. Do you want to make it last like Danny and Rhea check out this great advice from celeb couples who've stood the test of time. Nick and Vanessa began dating in 2006 after she starred in the music video for his song "What's Left of Me." They broke up briefly in 2009 but got back together and were married by the summer of 2011. They are now the proud parents of two with a third babe on the way. 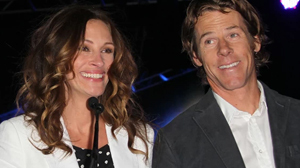 For more famous couples who've made it work, check out celebrities who survived cheating and stayed together. Billy Ray and Tish got married in 1992 and in 2010, he announced that he had filed for divorce from her. Five months later, Billy Ray revealed on The View that he was dropping the divorce. Seems sweet, right? Er, not so fast. A little while later it was Tish's turn to file for divorce. Second time's a charm? Nope. A month later, they revealed they had gone to couples' therapy and worked it all out. Guess they figured out the secret to a happy marriage after all. After co-starring on Game of Thrones, the two briefly dated in 2012, but called it quits. By 2014, they were seen together once again and this past April, they made their red-carpet debut in London. Kit and Rose aren't the only couple we were devastated to see split. 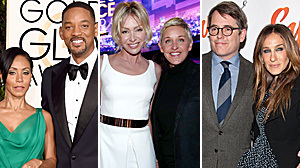 See all the '90s couples who totally need to get back together. When news broke in 2015 that Zayn and Gigi were dating, everyone wondered if a prettier couple existed. The two made their first public appearance at the Met Gala in May but a month later there were reports that they called it quits. Days later, though, Gigi sent Zayn a sweet message, fully supporting his decision to cancel a concert, and now they're back together. And all is right — and beautiful — with the world. 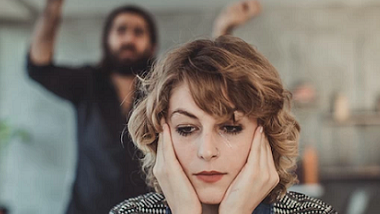 Related: 8 ways a breakup impacts your body. Married for 15 years, these two seemed like they were going to last forever. That is, until 2015 when Jillian filed for divorce and their marriage didn't seem so dreamy. But by early 2016, the pair had called off their divorce and worked on getting their relationship back on track. More pics: see the weirdest prenuptial agreements in Hollywood history.